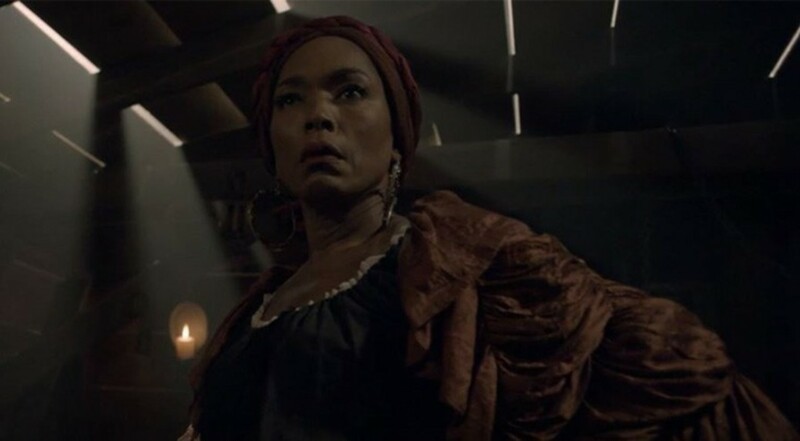 We're not saying the latest episode of FX's American Horror Story, "Apocalypse Then" is a disappointment, exactly. But it sure wasn't a success. Honestly, we'd have rather gotten a "to be continued" rather than a slap dash climax with a too long and puzzling denouement that offers a breezy, cheesy Harry Potter "all is well" wrap up before immediately blowing it up. It's hard to shake the feeling that Cordelia's coven, and indeed Michael the Antichrist deserved better, to say nothing of Hawthorne's School and their Exceptional Young Men. Midway through the season we just wanted more, more! And we kept getting less, and less. Ah well, that's what we thought. How about you! Meet you back here in two so we can hash it out on the FINAL FEEDBACK FRIDAY of the season!